LAKE OSWEGO, Ore., Feb. 7, 2017 /PRNewswire/ -- The Greenbrier Companies, Inc. (NYSE:GBX) announced today that 22-year FBI-veteran Greg Bretzing has been hired as Director of Global Security & Special Projects. He reports to Bill Furman, Chairman and CEO in this newly-created role that deploys Bretzing's deep experience in security and administration. Bretzing will oversee physical security measures at all facilities owned or occupied by Greenbrier. Additionally, he will manage security for business travelers outside of the United States. He will also help drive Greenbrier's cybersecurity efforts and play an active role in Greenbrier public policy and international business activities. "We are fortunate to have a seasoned individual of Greg's caliber join the Greenbrier team," commented Furman. "Greg brings more than 20 years of global security experience to the role. As a proven leader in the security field, he is a valuable addition to our team as we continue to execute on our international strategy and expand our geographic footprint. The safety and security of all of our global facilities and employees remain our top priority and is foundational to our growth strategy. Greg is also an experienced manager and administrator who will bring depth to our management team, particularly in the areas of public policy and international engagement." 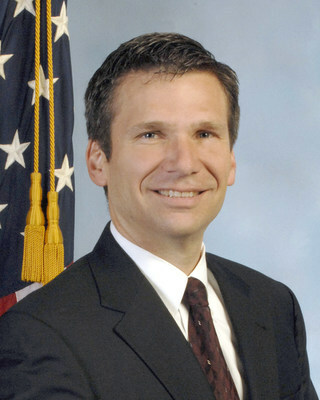 In January, Bretzing completed an award-winning FBI career that started in 1995. His most recent service was as Special Agent in Charge of the FBI's Portland Field Office where he directly and indirectly managed over 250 employees in six offices across Oregon. Prior to serving in Oregon, he was an FBI inspector at agency headquarters in Washington, D.C. for 18 months. During his 20-year career with the FBI, Bretzing was also deployed overseas on numerous occasions, including serving as the FBI's attaché in Panama City, Panama in 2001 and as the FBI's On-Scene Commander in Afghanistan in 2009. Before his tenure with FBI, Bretzing worked for Ernst & Young as a CPA in San Jose, California. He earned his Bachelor's Degree from Brigham Young University in Accounting and Business Administration. He currently serves on the Executive Board of the Boy Scouts in Portland. Bretzing will be based at Greenbrier's global headquarters in Oregon.